29 Nov Two words for going energy efficient this summer. Solar panels! Summer and sun go hand in hand! That beautiful star in the sky that we rely on so much is finally making its long-awaited return. Of course, there’s nothing like spending an afternoon tanning or getting active outside, but the sun also provides us with the opportunity to harness energy for free! It would be silly of us not to utilise this. Nowadays, with more pressure being put on the population to convert to sustainable energy (and rightfully so), there’s never been a better time to take advantage of the beautiful beacon. As the specialists in Perth solar power, Termico Solar provide the best solar solutions to ensure you get the best system for your situation. Regular energy relies heavily on a volatile market that continually sees prices fluctuating. There can be daily changes to the cost of fossil fuels that may increase your energy bills. Solar energy allows you to switch off from the grid and cheaply power your own home using a renewable supply. Once your panels are installed you’ve reached the oasis! An energy-independent status where you are protected against unpredictable utility prices. Enjoy cheaper, renewable electricity that won’t run out! As well as lowering your energy bills, solar panels can also add value to your home. Due to the high probability that stricter energy laws will be introduced in the future, the installation of solar technologies can significantly increase your home’s value. 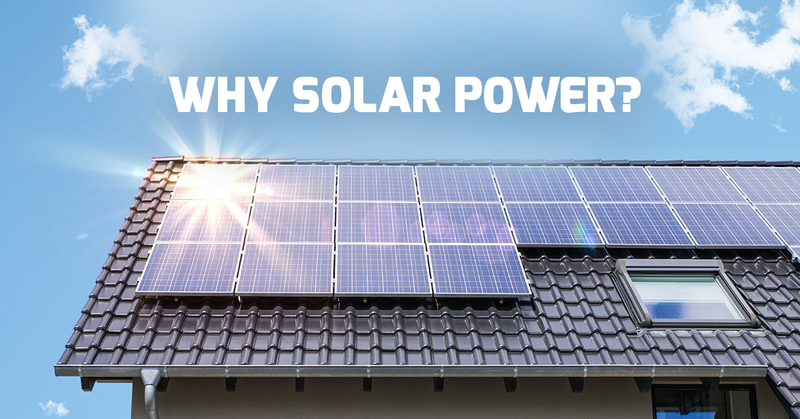 The initial stage of installing a solar system can be quite costly, however, the fact that buyers are more likely to buy a home installed with solar panels, means it’ll be easier for you to recoup you’re the cost when you sell the property. Although the initial cost may seem high, once your panels are up and running they require very little maintenance. You can enjoy their benefits for many years without the added stress of having to spend a fortune on their upkeep. If your energy needs increase, then it’s also very simple to add more panels. As well as this, they don’t create any noise or release any harmful substances. The price of solar panels is certainly a factor in people deciding not to invest in solar energy. Fear not however as when you decide to buy solar panels the government provides incentives in the form of Small Technology Certificates (STCs). Assign your STCs to Termico Solar Generation and in exchange you’ll receive a discount of up to 50% on your solar system. When deciding on your solar panel solution it’s important to enlist the help of a professional solar panel specialist such as Termico Solar. Earn reward points and receive exclusive member benefits when you make a purchase at Termico Solar. Download Loyalty app free from the App Store or Google Play today and start earning and using your reward points!